Beef stew is a delicious and comforting food. Make it in your slow cooker, in the oven, or in your instant pot! 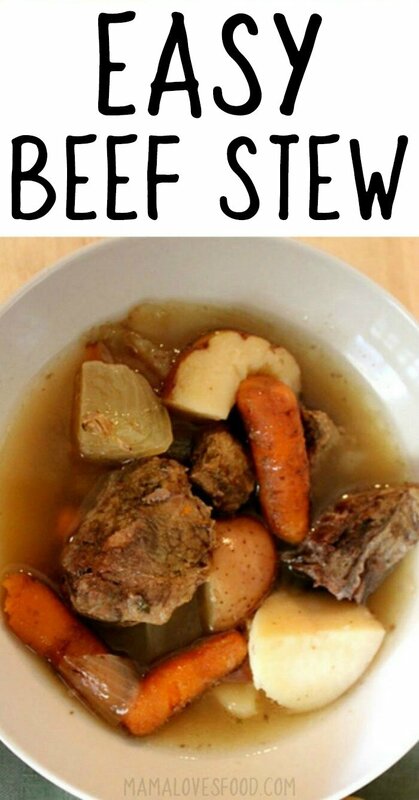 Beef stew is one of my favorite comfort foods. You’re going to love this recipe for beef stew because it’s easy to make, filling and delicious. If you want to know what to serve with beef stew, we like to do one of our amazing bread recipes (may I suggest the French bread recipe), a strawberry spinach salad and then finish the meal with a quick raspberry cobbler! Beef roast – I used tip roast, but any inexpensive roast meat will do. Potatoes – Red potatoes are my favorite because the texture turns out really smooth when cooked. Carrots – You can used chopped carrots, but I like to toss in a bag of baby carrots. So easy! Onion – Sweet yellow onion is the perfect addition. If you can’t find this, then a white onion or even shallots would work. Dry ranch dressing mix – You can use the packets or purchase a larger can and measure it out. Optional ingredients – Celery, garlic, green beans. 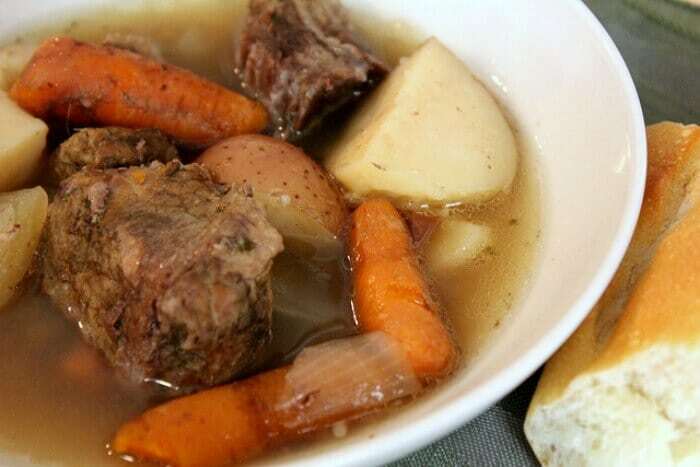 To thicken beef stew, or create a beef stew gravy, you’ll want to pour a small amount of juice from your cooked roast into a sauce pan and add some flour. Whisk it together over medium heat for a few minutes, then pour in more roast juice. Simmer until gravy reaches desired consistency then salt and pepper to taste. Cuisinart knife block – These are the knives we got for our wedding in 2003 (go ahead, count on your fingers). We still use them every single day. And they’re still great! Also, they’re a really classic looking knife, which I really like! 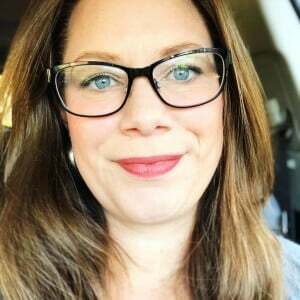 Instant Pot electric pressure cooker – Hey there working parent! It’s me! Also a working parent! Can we talk about how hard it is to get a healthy dinner on the table during the week? So. Hard. Well, Imma tell you – this electric pressure cooker is my saving grace! The slow cooker is a great place to make beef stew because it’s no muss, no fuss, and comes out great. If you have time to slow cook (you’ll need about 10 – 11 hours), beef stew in the crock pot will make your house smell amazing all day long. 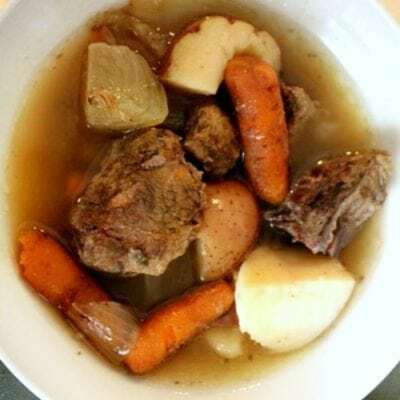 If you need your beef stew faster, the instant pot is a great option! You can cook your beef stew in an instant pot in about an hour total and you won’t lose out on flavor at all. If you love fast recipes we have lots of instapot recipes. 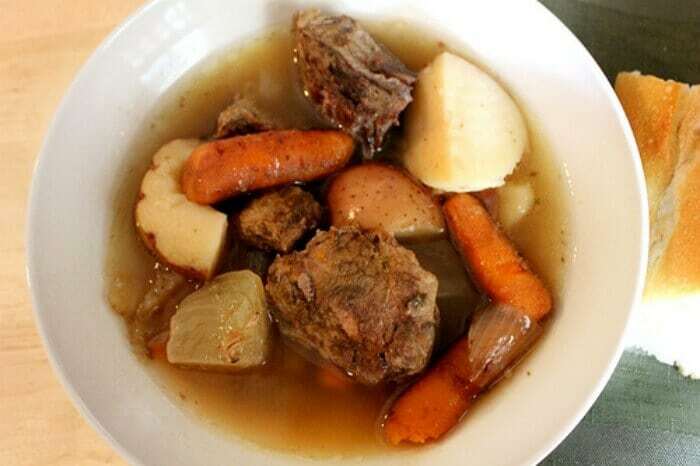 You can also make beef stew the traditional way by browning the meat on the stove top, then cooking it in the oven for a few hours, until the meat is tender. Mix one packet of ranch dressing mix with hot water. Place potatoes, carrots and onion at the bottom of your slow cooker and pour ranch dressing/water mix over vegetables. In a large bowl coat beef with remaining two packets of ranch dressing mix. Place beef over vegetables in crock pot and cover. Cook on high for one hour, then switch to low for approximately 8- 10 hours, or until meat reaches desired tenderness. Turn on saute function, and use a small amount of oil to brown beef. Sprinkle remaining two packets of ranch dressing mix over meat and vegetables. Close/seal the instant pot and turn on manual for 45 - 60 minutes, until meat is cooked through and tender. Sear meat well in a heavy bottomed pan (like a dutch oven) with a small amount of oil. Mix one packet of ranch dressing mix with hot water and pour into pan. Add potatoes, carrots and onion and stir. Sprinkle remaining two packets of ranch dressing mix over meat and vegetables. Close/seal the instant pot and cover and roast at 250 degrees on center rack of oven for 4 - 5 hours. This method uses the ratio 2 tablespoons of flour to 1 cup of liquid. You can make as much or little as you want with this ratio in mind. Pour a small amount (about 2 - 3 tablespoons) of juice from your cooked roast into a sauce pan and add 2 tablespoons of flour. Whisk together over medium heat for two to three minutes. Slowly pour in remaining one cup of roast juice and incorporate with a whisk. Bring to a low boil and then lower heat. Simmer until gravy reaches desired consistency then salt and pepper to taste. Love making pot roast in the crock pot. Never thought to use ranch dressing packets–must try! This is such an easy twist on a classically delicious dinner. Total comfort food and I love that it’s SO easy to make! Yum! I love the idea of adding ranch dressing mix for flavor! This is total comfort food! Adding to our dinner menu this week!